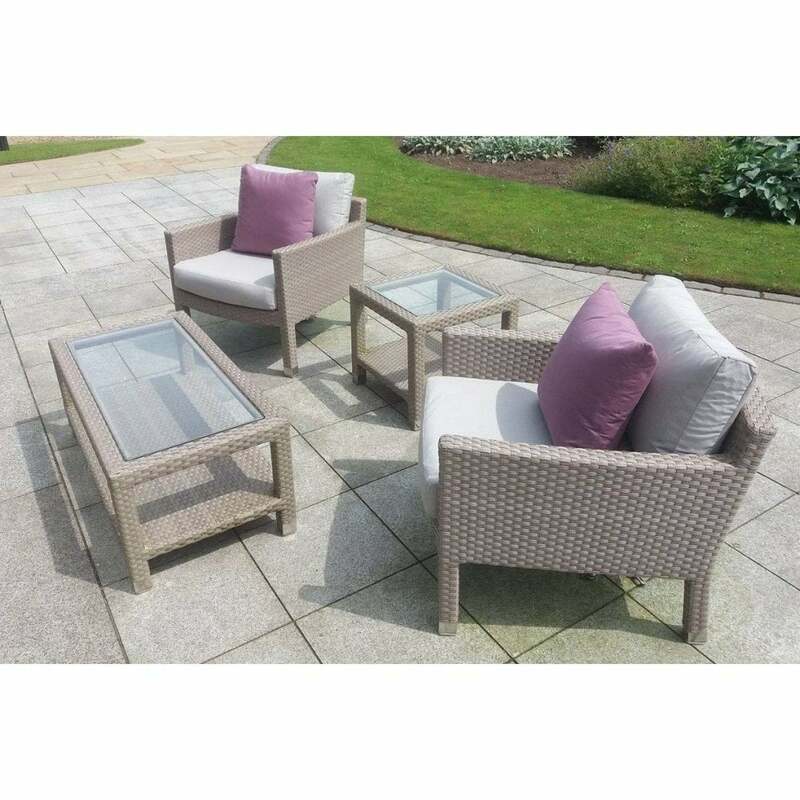 A superb quality outdoor seating set from Skyline, this group includes two armchairs, one loveseat and a side and coffee table. Also included are waterproof cushion liners and covers for the seats, making the Mankani lounge set extra practical and resilient to weather. The fabric is from their category B range to add extra luxury.